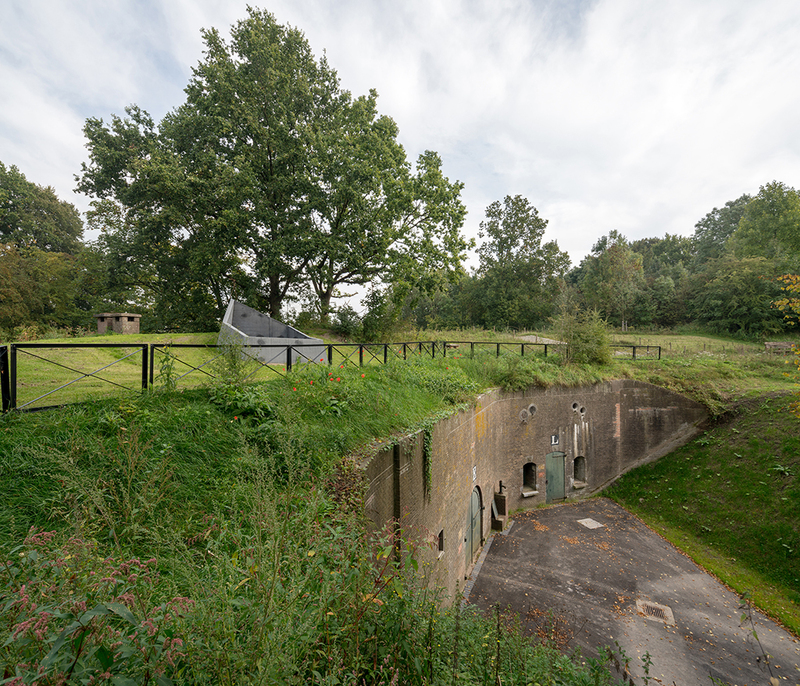 The two-hundred-year-old Fortress at Vechten is part of the Nieuwe Hollandsche Waterlinie (New Dutch Waterline), an 85-kilometer-long military defensive line that was nominated for UNESCO’s World Heritage list in 1995. 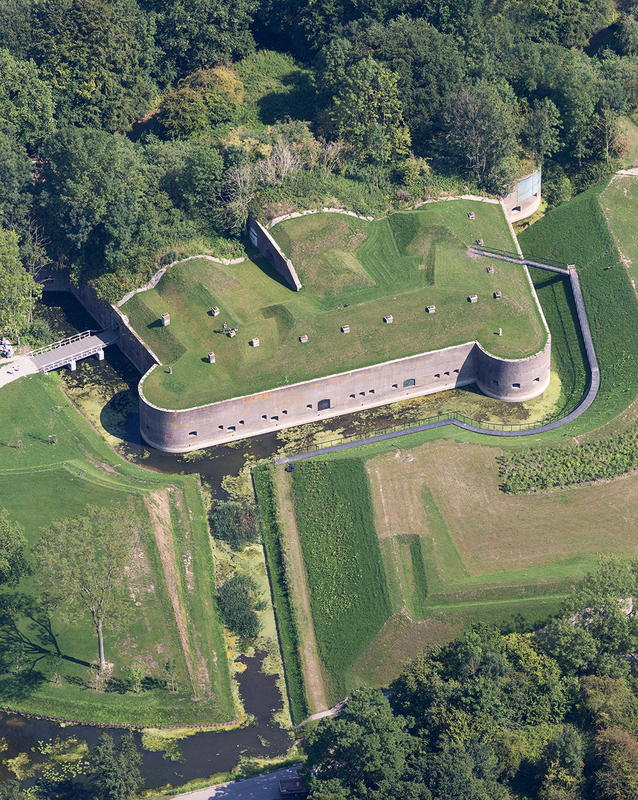 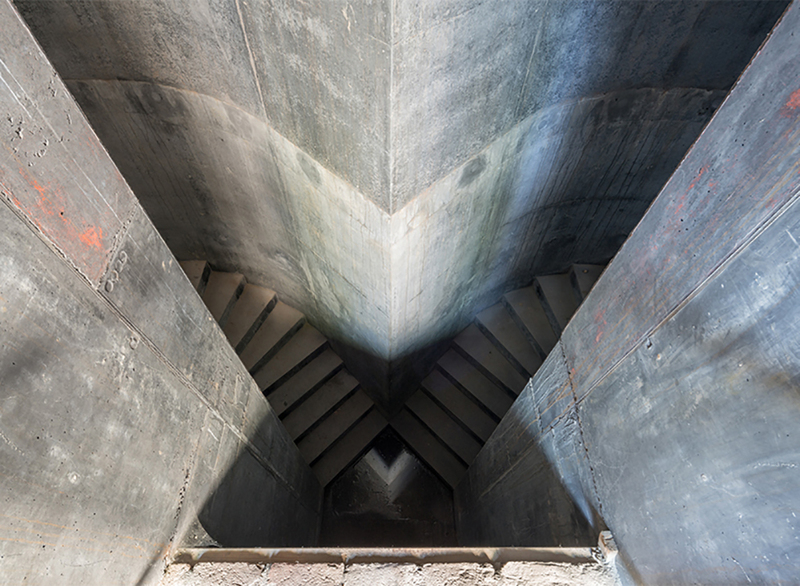 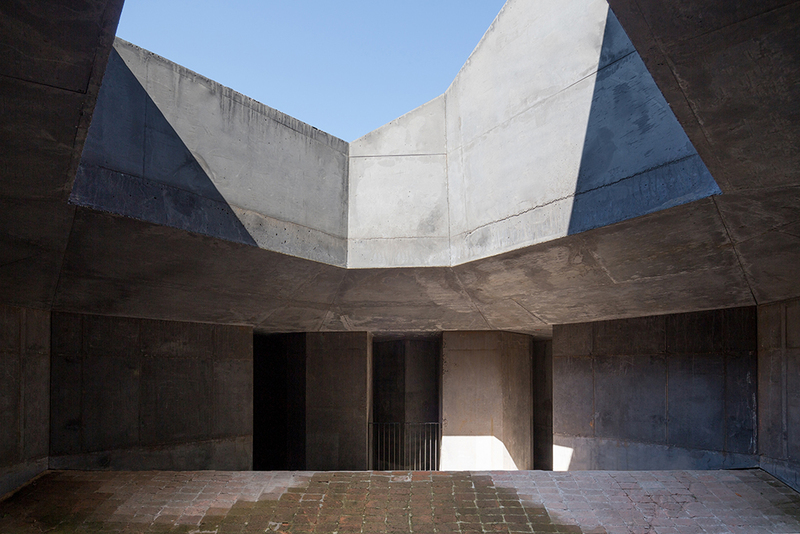 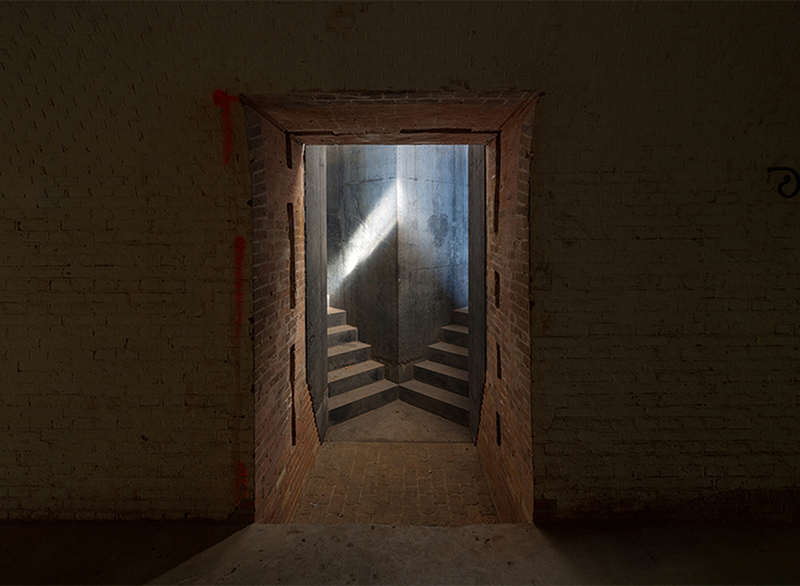 Following the master plan designed by Jonathan Penne Architecten, West 8, and Rapp+Rapp, the fortress has been given a new function as Waterliniemuseum (Waterline Museum). 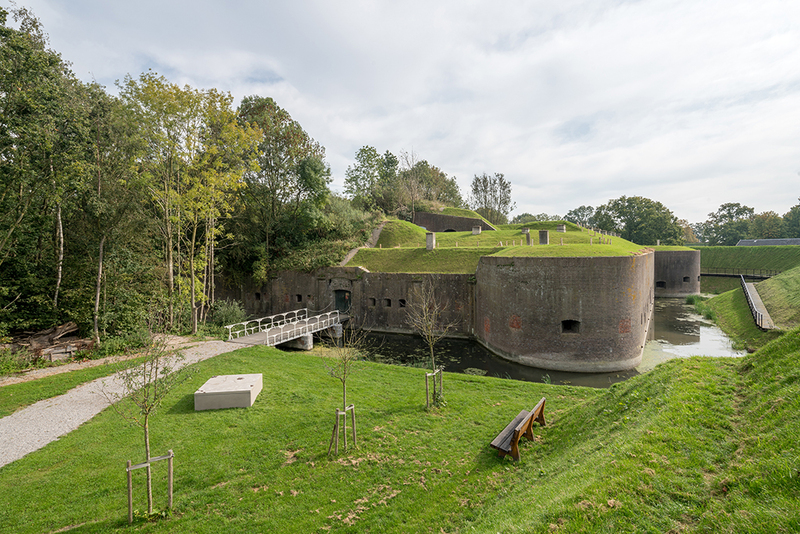 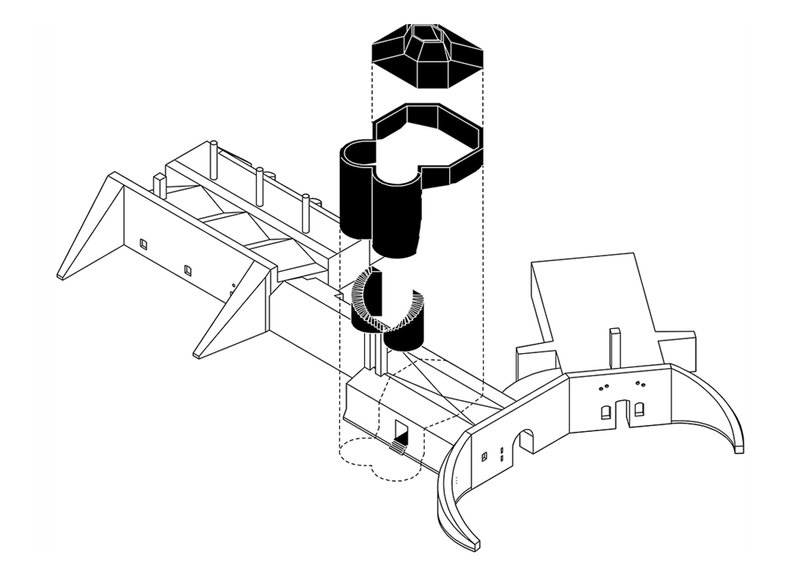 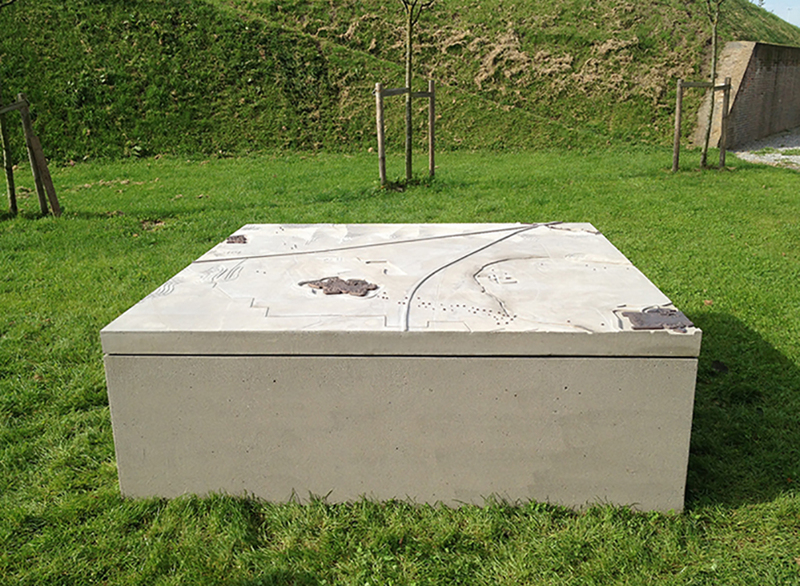 Anne Holtrop designed a new pavilion which is located, just like the original casemates, below the grass-covered fortress. 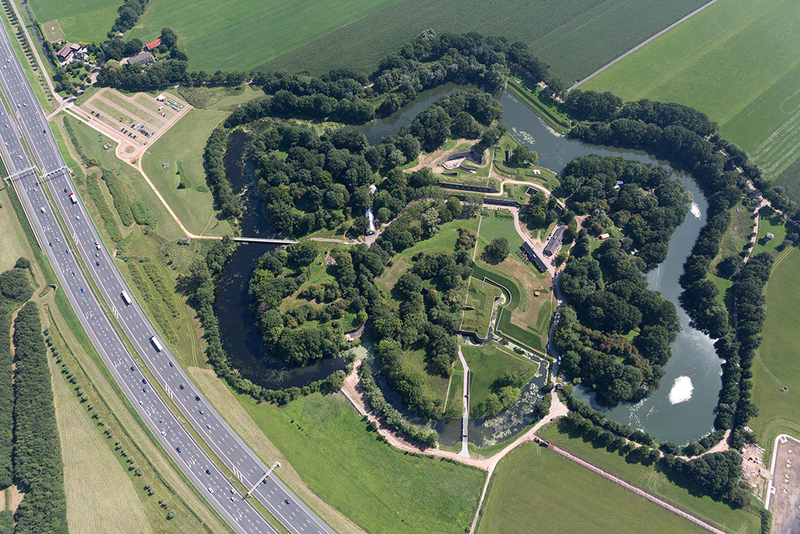 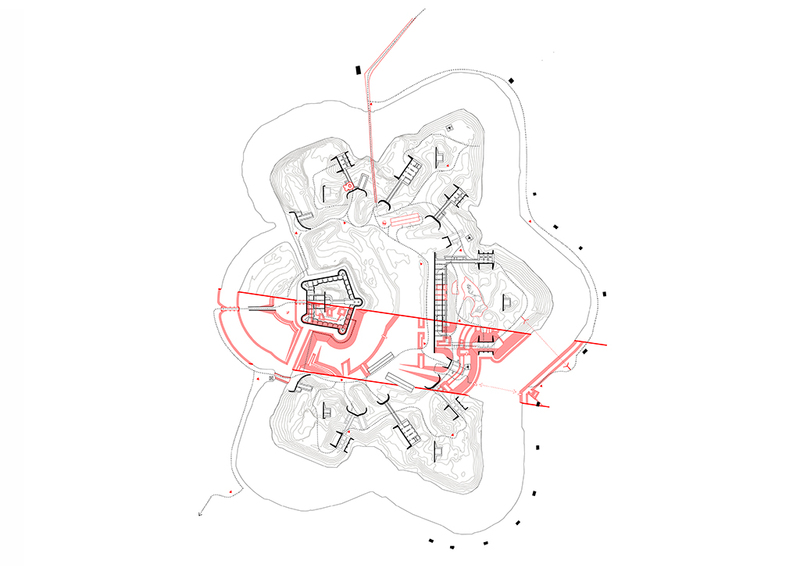 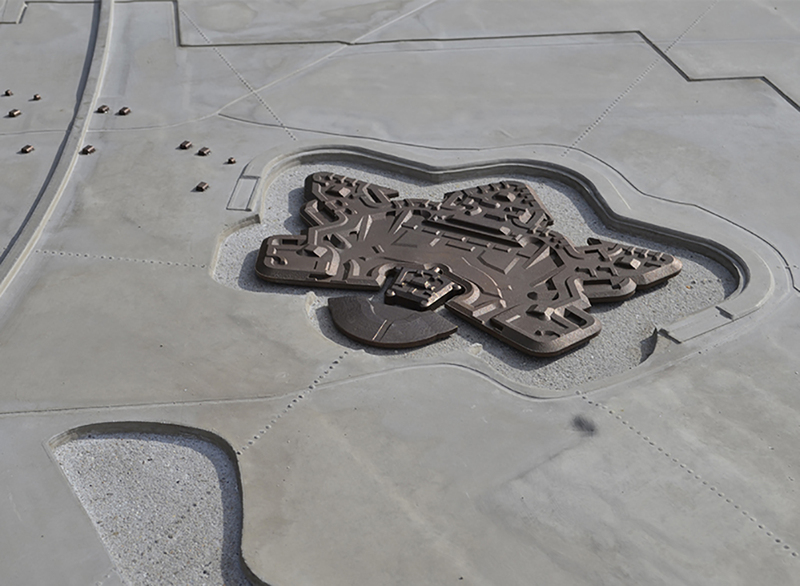 An eighty-meter-wide strip on which the fortress is returned to the original, austere geometric structure from about 1880, stretches across the landscape for a distance of 450 meters.